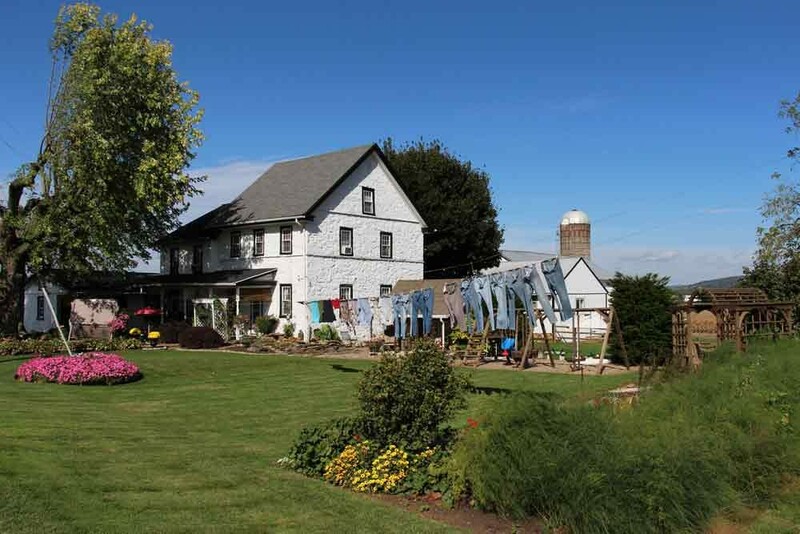 Iron Stone Acres Bed & Breakfast features a beautiful 225 year old farm house and dairy farm. 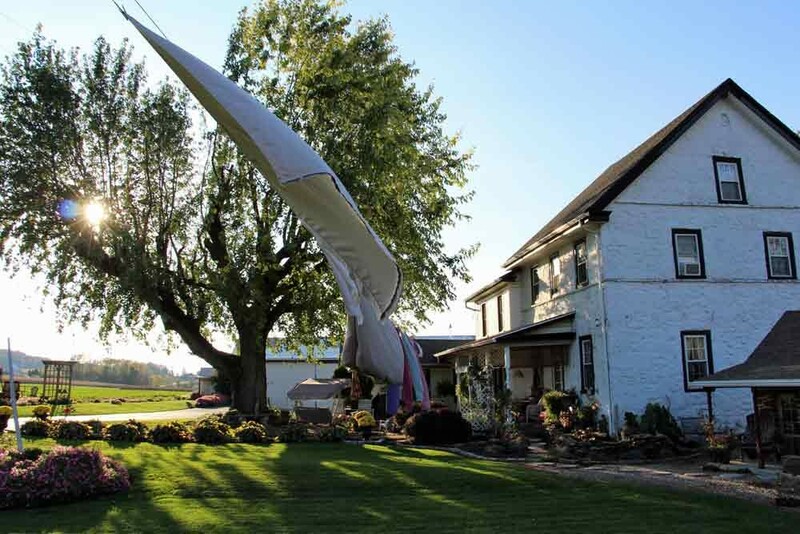 This unique farm bed and breakfast in Lancaster County promises to be a memorable experience for young and old alike. 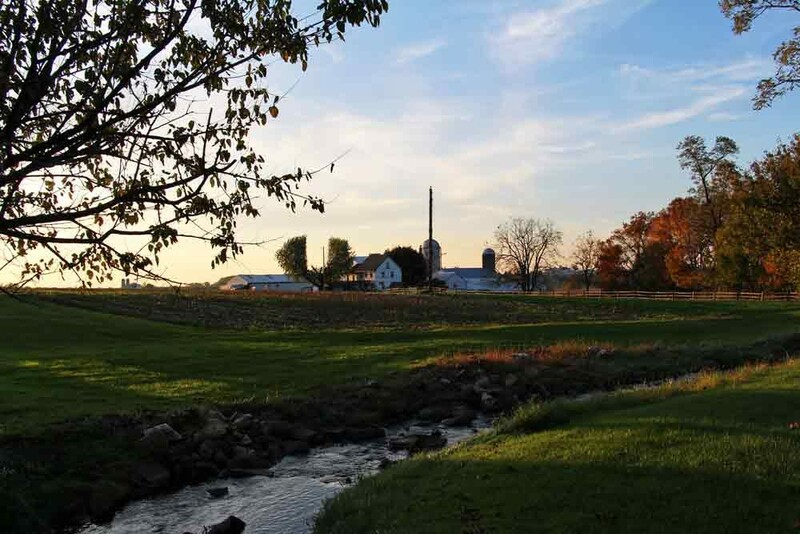 We invite you to join our Mennonite family and be a part of our 80 acre working farm in the heart of Amish Country. 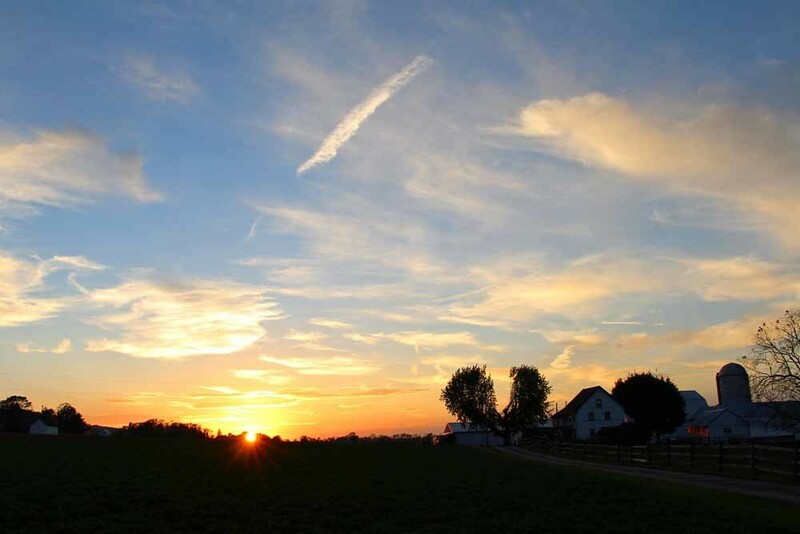 Enjoy the peace and quiet of life on the farm and relax at our outdoor picnic area. Our breakfast menu offers various options to help you start your day with a hearty meal. 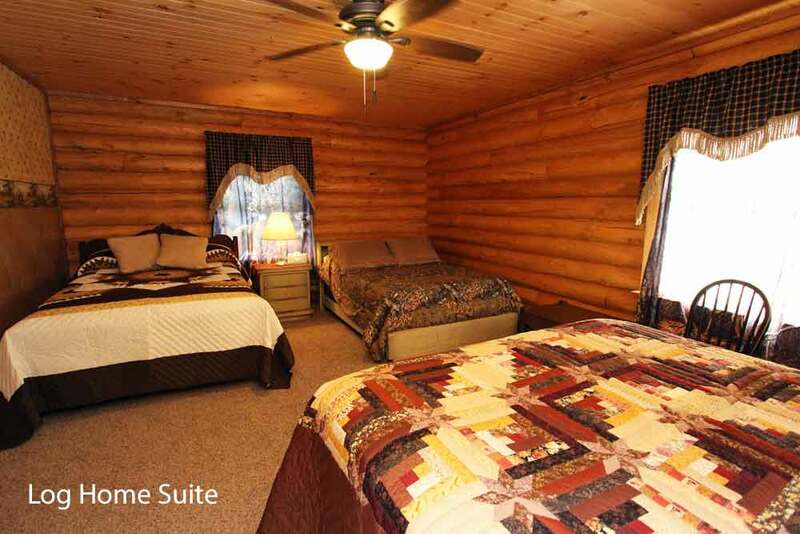 Three guest rooms are available with air conditioning and shared bathroom. 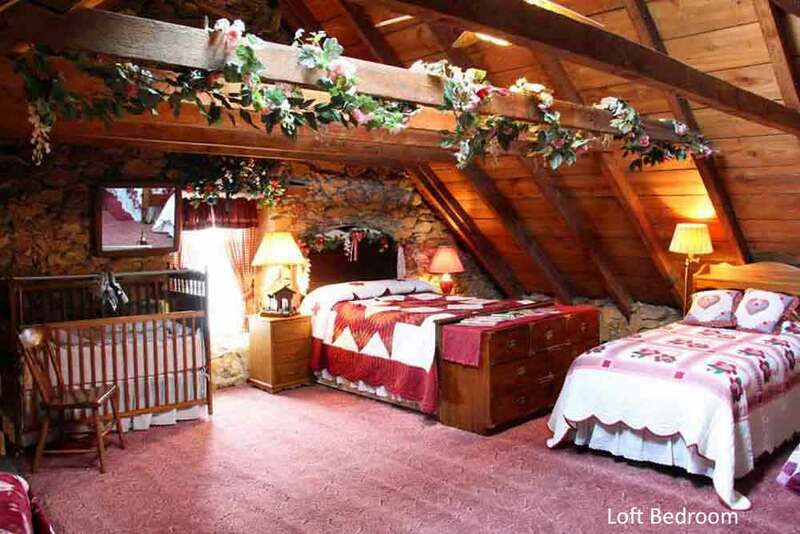 Our Loft bedroom is the perfect space for larger families with room for 7! In the summer we offer our gorgeous Beach Pond to our guests for a memorable bathing experience . 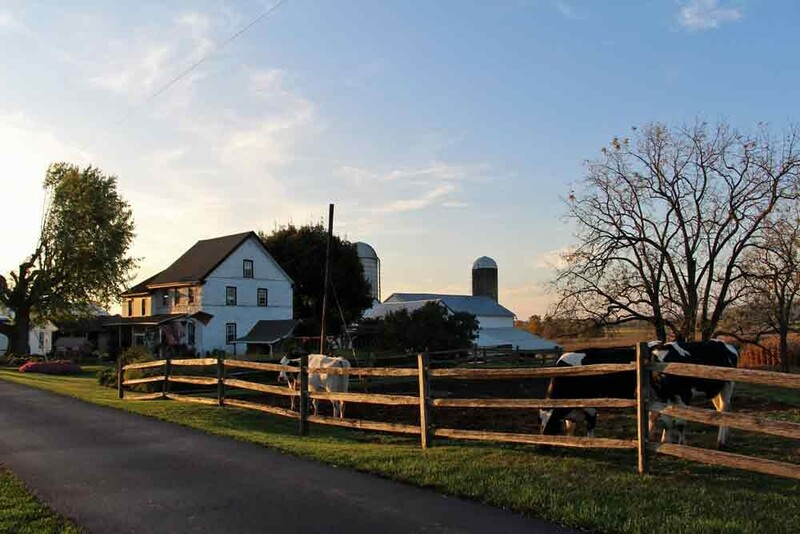 Our farm is the perfect place to return to after a busy day of visiting the many nearby Lancaster County attractions. 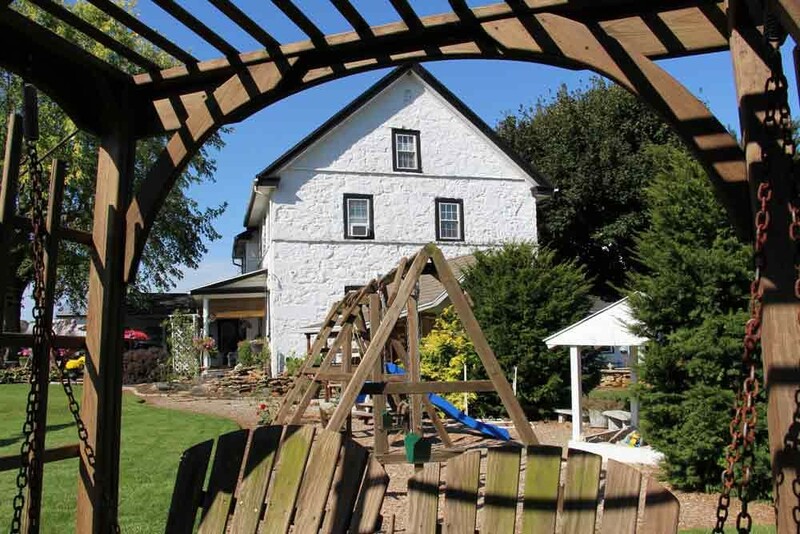 If you want to experience the real beauty of Pennsylvania Dutch Country, there’s nothing that compares to staying at a farm bed and breakfast in Lancaster PA! 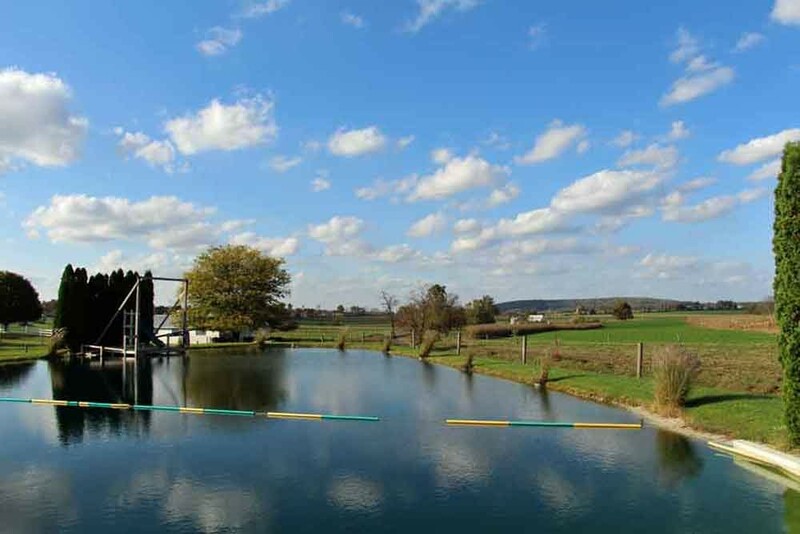 You may check availability at Iron Stone Acres & book online at this link. 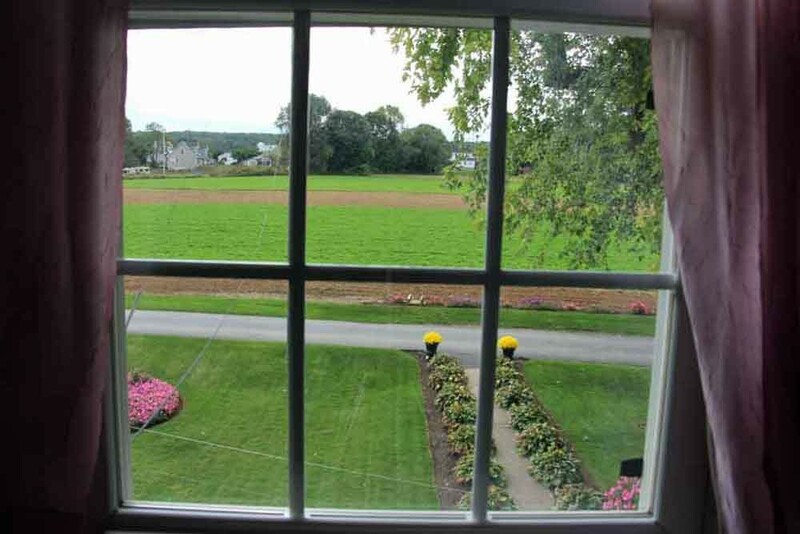 Read more about Iron Stone Acres Bed & Breakfast in this June 2018 Washington Post article! Prices listed are for 2 or more nights. For a 1 night stay there is a $20 surcharge. Tax of 7.1% and booking fees not included in above rates – please contact us with the size of your party & ages of any children for an exact quote. Full breakfast provided for all guests in the Log Home kitchen. 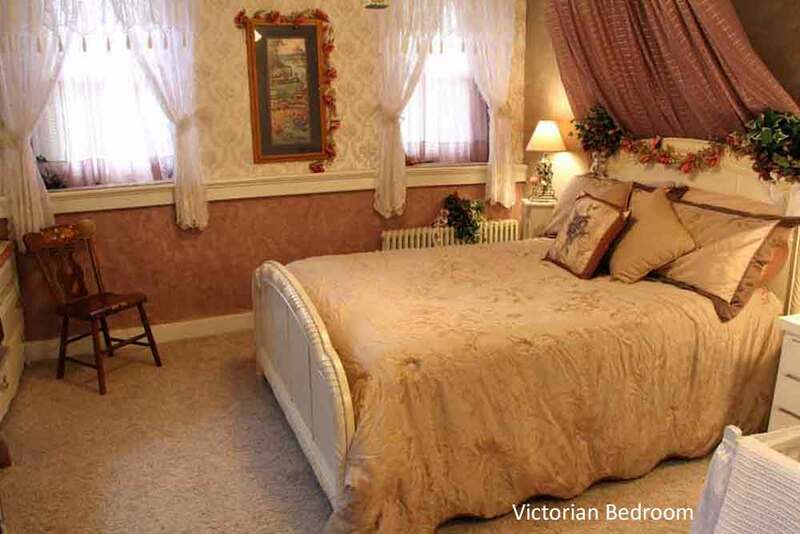 If you are staying in the Loft, Victorian or Western Bedrooms, you will have a short walk down the driveway to your breakfast. Check in time is 4:00 – 6:00 PM (other hours by special arrangement), check out time is 11:00 AM. Consideration of modesty in dress is appreciated. 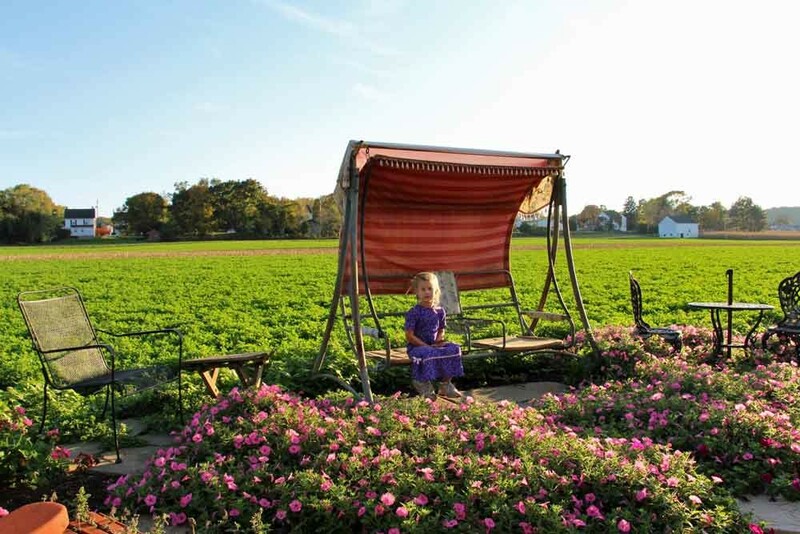 Children of all ages are welcome and may help with some farm chores. We also have a playhouse & playground area for children. 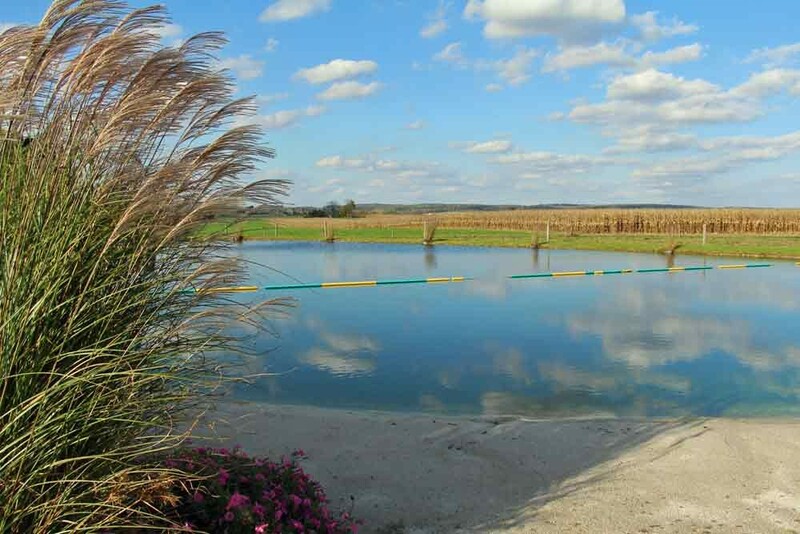 The Beach Pond is normally open for swimming from the 2nd weekend in June to the 2nd weekend in September. All indoor areas (including barns & other outbuildings) are non-smoking. Alcohol consumption is not permitted on the premises. This bed and breakfast was so nice! 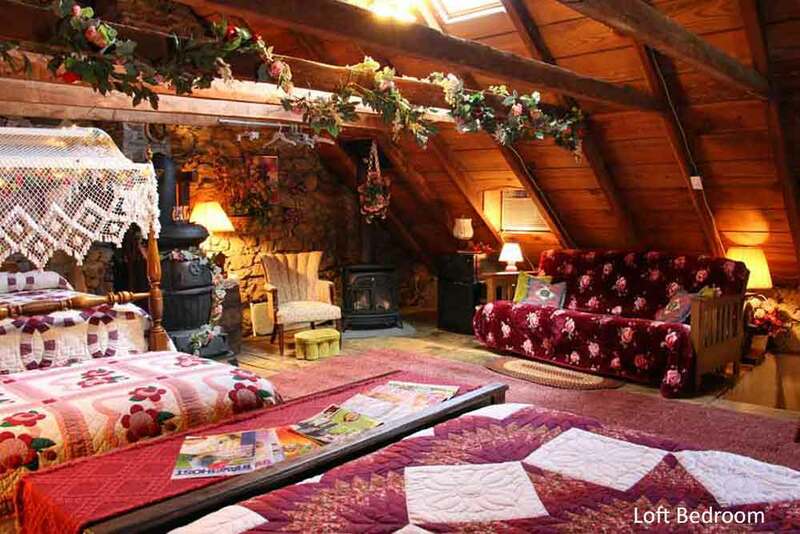 The pictures don’t do the upstairs room justice. The fireplace, amazing breakfast, friendly hosts and the 9 kittens that ran around outside were great! We enjoyed seeing the operation of the dairy farm and getting to know the hosts and about their newborn. I would recommend this to anyone interested in the area and would definitely book again. Thank you for your review. 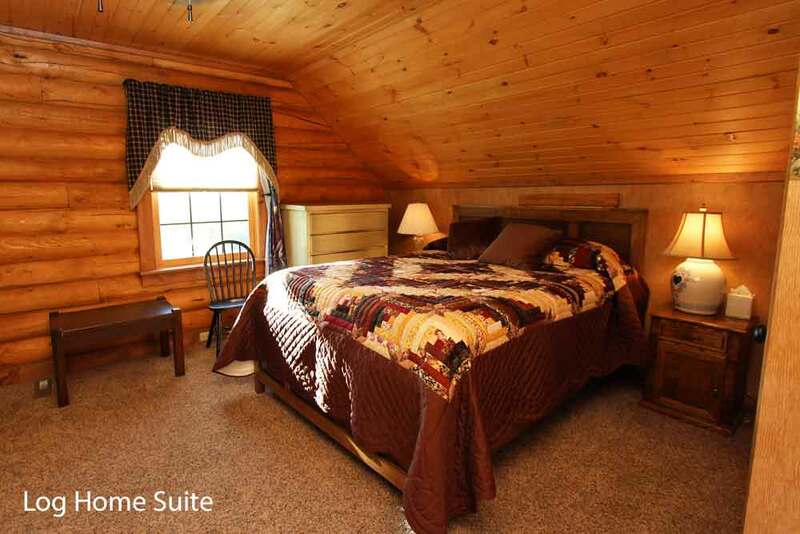 I'm glad you enjoyed your stay in the Loft Bedroom at Iron Stone Acres Bed & Breakfast! Our kids loved seeing the cows being milked and feeding the calves bottles. The breakfast each morning was delicious, the potatoes and pancakes with homemade jam were our favorite! Super friendly, incredible experience!!!! Thank you for your review. I'm glad you had an enjoyable stay at Iron Stone Acres! 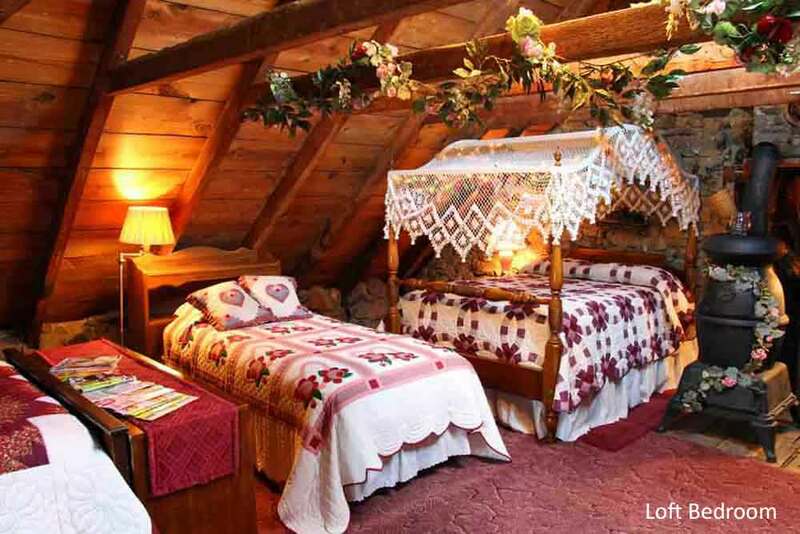 I stayed in the old house attic room with my husband and two children. We had an absolutely wonderful time. Our 3 nights, 4 days were peaceful, friendly, and complete bliss. 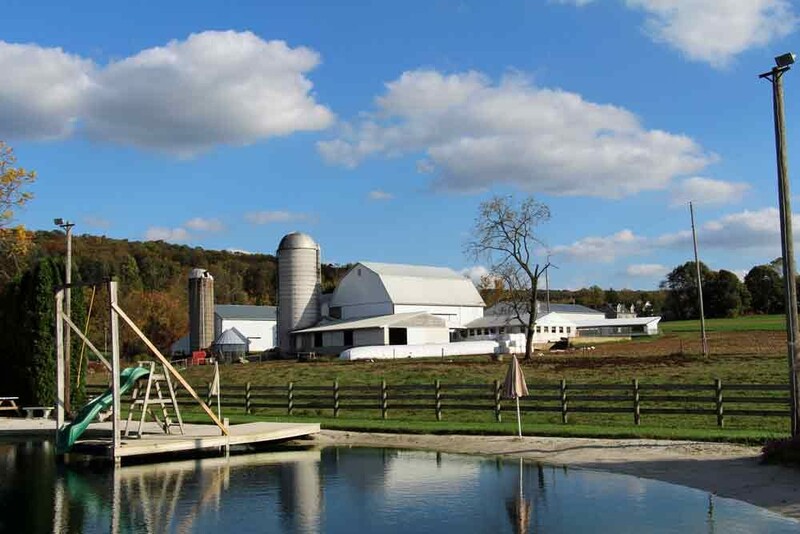 My children enjoyed the farm animals, from kittens to new calves and puppies. They loved playing in the creek nearby. My husband and I enjoyed the break from phones, tablets, TVs and WiFi. The air conditioning was amazingly ice cold and refreshing against the humidity of July. We went to bed and woke up according to the sun. And Mrs.Sharon’s breakfast was phenomenal. My kids couldn’t get enough fresh milk. We found Mrs. Sharon and the other guests to be so delightful, and really enjoyed getting to know them. When we go back, we will have to visit with them again by staying here. My wife and I stayed here for our 5 year anniversary, and we loved it. 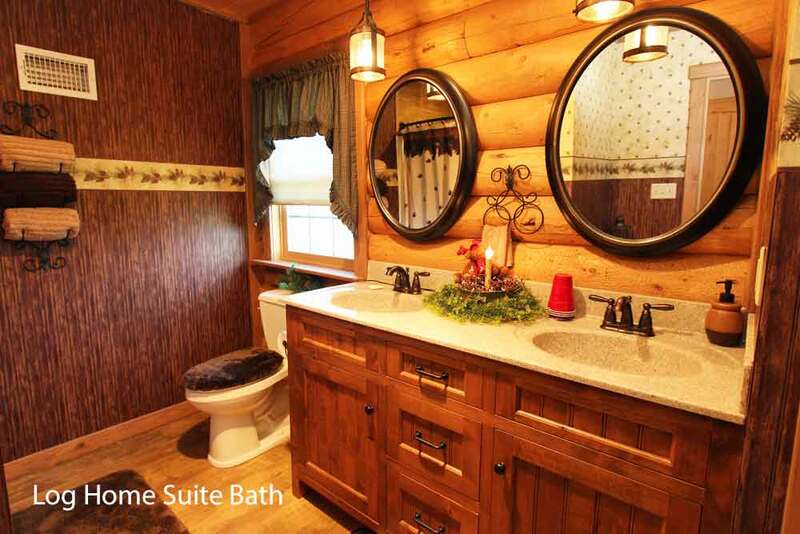 Cozy, private, and just the right size! It was clean and we definitely enjoyed our stay! The lovely antique furniture creates a wonderful place in the countryside. The welcome was excellent from the host and the farm is in beautiful countryside with stunning views to the setting sun. 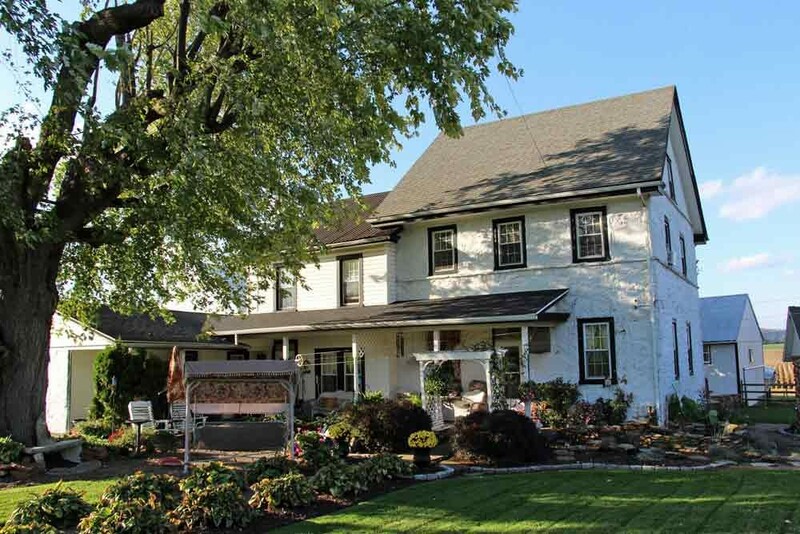 I have stayed at Musser’s many times and, when visiting in the Lancaster area, will not stay anywhere else! Florence was warm and welcoming with a flexible breakfast schedule. Her homemade pancakes and buttermilk syrup were delicious. 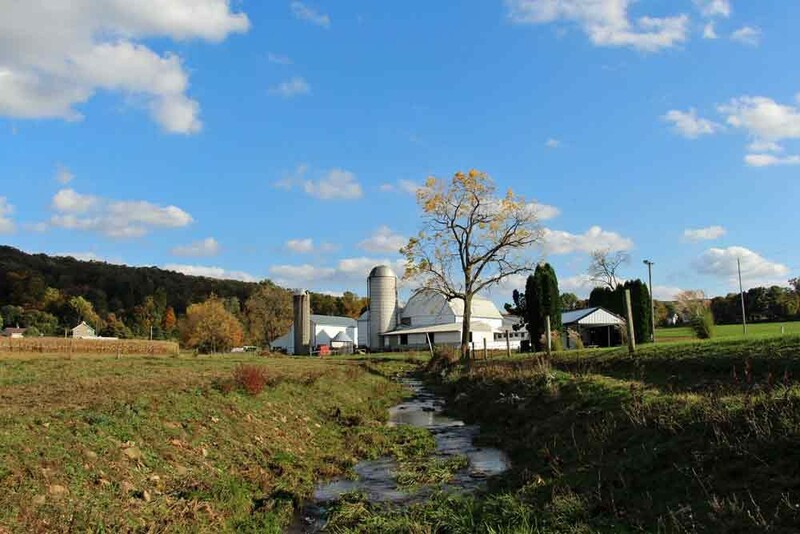 It was very peaceful being out in the country on a real farm. Beacon Hollow will be the place I stay next time I’m in the Lancaster area!